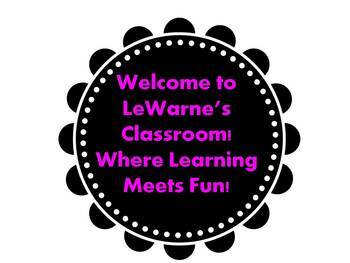 Thank you for looking into LeWarne's Classroom! Where learning meets fun! This is a lesson planner page for a typical middle school classroom. I enjoy the flexibility of having three columns - one for each class. Even if I have the same lesson for each class, it's inevitable that each class ends up on a different page or place. Enjoy and come back again!